We are pleased to welcome Grant Munro as our Operations Director. Grant will lead the Operations team to ensure Matcon is well positioned to consistently deliver exceptional levels of service to our internal and external customers and support Matcon's business growth strategy. The Cone Valve at the heart of Matcon IBC System is a superb discharge device, overcoming the typical powder flow problems of bridging, rat-holing, segregation, flushing and core-flow. 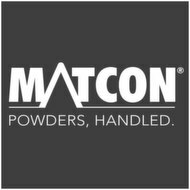 Matcon specialise in providing efficient and flexible handling of powders, granules and tablets using IBC systems, offering a complete range of IBC solutions to pharmaceutical manufacturers worldwide for LEAN materials handling throughout the manufacturing process. Join Matcon at Food Ingredients China (FIC), an international trade event focusing on food additives and ingredients. Find us on Stand 61N00 alongside Stern Ingredients. With over twenty years of pharmaceutical experience and technical knowledge, we are pleased to welcome Ian Avery to Matcon's Pharmaceutical Team. We are pleased to be heading to Delhi for this year’s P-Mec India exhibition being held between 12-14 December. This event covers the latest trends and innovations from across the Pharmaceutical Industry, promoting discussion around new technology and ingredients management. Discover how Hero were able to replace cumbersome pre-mixing in fixed mixers which were creating bottlenecks and reducing flexibility. Discover how this spice blending manufacturer can make to order without building Inventory. Discover how a 3 in 1 coffee mix producer installed a new production facility that enabled faster response times. Discover how British Bakels was able to cope with small batch runs and handle recipe variety, some of which included allergens. This year the Matcon team from South East Asia exhibited across the 3 day show. We spoke to Matcon General Manager and Business Development Director Dave Newell to learn more about Foodtech Packtech 2018. On Wednesday 24th October, we opened our doors to manufacturers, engineers and technicians from the food industries to share the latest information, advice tips and insights on allergens. To ensure that you get the best performance from your Matcon IBC system, it is essential that the equipment is kept in optimum condition. Our experienced Service Account Managers (SAMs) are expertly placed to provide advice on the specific needs for your process equipment. The IBC container is central to Matcon's powder handling solution and features unique, original Cone Valve technology. The Matcon IBC is available in a range of sizes between 300L and 3500L. Reduce downtime by cleaning IBCs off-line with a safe, repeatable wash sequence. Machinery cleaning systems are offered from manual to fully automatic, with air-wash and wet-wash options available. Designed for discharging IBCs directly to FMCG packing lines without the need for any secondary refill devices. Automatic and controlled refill ensures a consistent feed, allowing packing lines to operate efficiently and maximise their throughput. The Matcon Powder Packer is designed to fill sacks from 5 - 25 kg directly from Matcon IBCs without the need for additional feeders or control mechanisms. The unit is flexible and can handle a wide range of powder characteristics from cohesive to free-flowing. The Matcon IBC Mixing/Blending Module allows rapid batch changeovers as the ingredients are fully contained within the IBC – no need to clean down. A wide range of batch sizes can be accommodated on one blender and multi-size IBCs between 300L and 3500L. The Matcon IBC Filling Unit is designed to enable dust-tight filling of the Matcon Intermediate Bulk Containers (IBCs) off-line. The system provides for a fully contained transfer of material into the IBC, reducing the occurrence of spilt or wasted material. The Matcon Flexi-Batch Recipe Formulation system provides automatic preparation of recipe ingredients off-line. Ideal for delivering an accurate and cost effective flexible recipe batching system, recipes are formulated directly into IBCs. Boh Tea succeeded in building a manufacturing system able to cope with multiple recipe changeovers, whilst maintaining exemplary hygienic standards. Click this link to read more on their story. With Blending times lowered and cleaning requirements significantly reduced, the system efficiency gains have enabled Image Holdings to produce to order and not to stock. PACK EXPO Las Vegas and co-located Healthcare Packaging EXPO is one of the world’s largest packaging trade shows. Visit us on booth number US-7477 to discover how a Matcon IBC system can provide you with an efficient and flexible manufacturing process. Matcon specialise in providing Intermediate Bulk Containers (IBCs) to create flexible powder processing systems for increased productivity, product quality and reduced manufacturing costs. Visit us in Hall 4 Stand 566 to discuss your project and application requirements. Matcon provides Cone Valve Intermediate Bulk Container (IBC) technology for efficient and flexible handling of powders, granules and tablets. Problems with segregation or powder flow? Still handling tablets in drums? Come and discuss your challenges with us on Booth 3263. Visit us in Hall 6 on the PMD Packaging Stand J18 to find out how a Matcon IBC system can provide you with an efficient and flexible manufacturing process. Join Matcon at ProPak Phillipines 2019 on Stand G1 with our Representative, Handyware Philippines, Inc.
Visit us on the Tekemas Booth B01:26 to find out how a Matcon IBC system can provide you with an efficient and flexible manufacturing process. Experiencing problems with segregation or powder flow? Still handling tablets in drums? Meet our experts in Hall 11 – Stand D23 to discuss your industry challenges.